The successful Grimshaw Brothers Silk Company of Paterson, New Jersey (see companion webpage) expanded their operations to Reading, Pennsylvania, about 125 miles away, in 1887. The Reading mill was built by L.H. Focht & Son at the expense of the city fathers of Reading and then, by prior arrangement, leased (with option to buy) to the Grimshaw Brothers Company. It was demolished by the worst storm in Reading’s history in 1889 with the loss of 17 lives, but was re-built within a year and operated for almost another 20 years until the Company discontinued operations due to financial difficulties. Today the mill is on the National Register of Historical Sites and has been renovated as an apartment building. It is still known by its original moniker, the Grimshaw Silk Mill. GRIMSHAW Mill. In the year 1887, John, George and David GRIMSHAW, trading as GRIMSHAW Brothers, came from Paterson, N. J., for the purpose of establishing a silk-mill at Reading and operating it in connection with their large plant at that place, if properly encouraged in their proposed enterprise. In this behalf, a number of public-spirited citizens organized an association and secured subscriptions, amounting to $65,000. The building committee comprised Henry EPPIHIMER, George D. STITZEL, Lewis KREMP, Jerome L. BOYER and William ROSENTHAL, who purchased a half-block of ground at Eleventh and Marion streets and erected a superior three-story brick structure 50 by 250 feet and leased it for a term of years, with an option to purchase, to the GRIMSHAW Brothers, who then equipped it with machinery for the manufacture of silk, costing about $75,000. They carried on the mill successfully until Jan 1, 1908. Producing large quantities of dress goods, linings, thrown silk, and yarns, which were shipped to New York. Then they became an incorporated body, trading under the name of GRIMSHAW Brothers Company, and the plant was transferred to this company which has since operated it, employing from 300 to 400 hands, mostly girls. The officials of the company are: John GRIMSHAW, president; David H. GRIMSHAW, treasurer; and George GRIMSHAW, secretary. On Jan 9, 1889, the building was blown down by a tornado, the most destructive storm that ever visited Reading. The mill was in full operation at the time. Many of the hands escaped, but 17 were killed and over 100 injured. A public meeting of citizens assembled in the Court-House on Jan. 10th for supplying aid to the suffering families, and altogether $12,000 was received from the people of Reading and elsewhere, which was judiciously distributed by a committee appointed for that purpose. 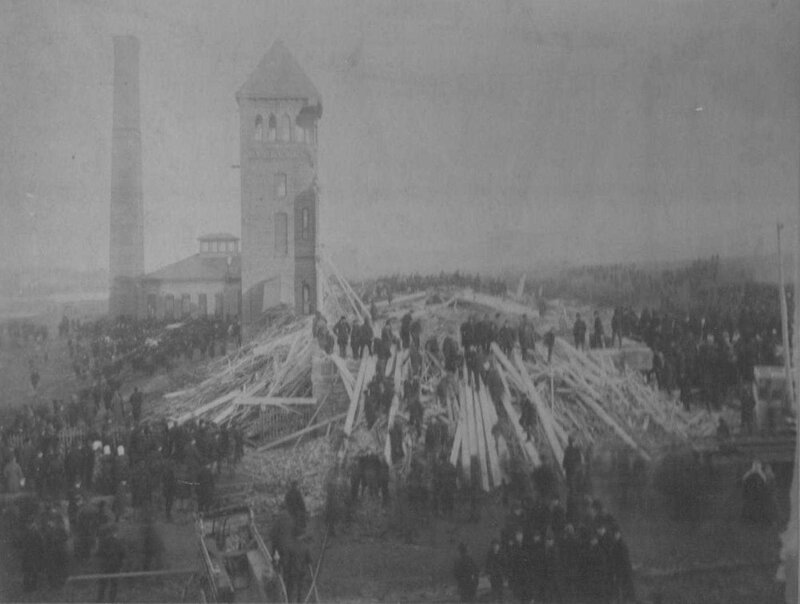 Figure 1 shows two photos of the mill shortly after it was destroyed by the cyclone in January 1889. Figure 1. Two photos of Grimshaw Brothers Silk Mill, apparently taken shortly after the mill was hit by the tornado. Thanks go to Marge Tamboer for providing these photos; she obtained them from her father, Leonard M. Tamboer, who got them from Jessie Farrar Boonstra, daughter of Emma Grimshaw Farrar. Jessie got them from Emma, who received them from Alfred Grimshaw, Emma’s brother! Alfred Grimshaw was the son of James Grimshaw and Mary (unknown) and was therefore a cousin of the four brothers who operated the Grimshaw Silk Mill in Reading. The Fresno Weekly Republican2 carried the following account of the tornado, apparently from an Associated Press reporter, on page 1 of its January 11, 1889 edition. Coverage of the Grimshaw Silk Mill destruction is shown in bold for emphasis. Hundreds of People Hurled into Eternity. Nothing Stayed Its Wrath, and the Worst Is Not Told. The Velocity of the Wind Exceeded a Hundred Miles an Hour Wires Down; News Coming Slowly. Reading, Pa., January 9.  A cyclone passed over this city this evening, doing considerable damage and killing more than fifty people. This was the saddest night in the history of Reading. A hundred families are in mourning as a result of to-days calamity. The cyclone went over the northern section of the city this afternoon and laid in waste everything in its reach. At 10 oclock to-night it is estimated that not less than sixty persons have been killed outright and over one hundred injured. The rainfall, which continued all morning, ceased during the afternoon, and by half-past 4 oclock the sun made an effort to penetrate the clouds, when suddenly the sky changed and with appalling rapidity the storm was seen coming from the west, cutting a swath 200 feet wide and spreading destruction. In the country, farmhouses were unroofed, buildings blown down and the crops uprooted. In Reading the Mount Penn stove works, J.S. Hornbergs rolling-mill and a number of dwellings were at once wholly or partially unroofed, and a passenger car of the Reading railroad companys track was blown into splinters. In the meantime the rain was falling in torrents and it was almost as dark as night. close together, all dead. They were pinned down and it was impossible to move them at the time, up to half-past 10 to-night probably the bodies of a dozen of the dead had been taken out, while the greater portion of the remainder were still buried in the ruins. All the living brought out were terribly wounded. The work of the rescue will be continued all night. The mill was operated, but not owned, by the Grimshaw Bros. of Patterson, New Jersey. They put in the machinery at a cost of $45,000, which is a dead loss. The building cost $63,000. Sunbury, Pa., January 9.  A rain and wind storm came up suddenly this evening and blew over two of the stacks of the Sunbury nail mills. They crashed through the roof, completely demolished the puddling department of the mills. Thirty-five were employed in this department, and half of them were buried in the debris. Two of the men have been taken out dead. The wounded so far recovered number nine. Pittsburgh, Pa., January 9.  The storm which did such damage here also demolished considerable property at Alleghany, Halls station, Wihnerding, McKeesport and other places. The boats on the rivers were cast adrift like corks, but were secured before much damage was done. The velocity of the wind was over fifty miles an hour. Reading, Pa., January 10.  The five men who were burned to death in the railroad paint shops during the hurricane have been identified, as have also twenty-eight dead at the ruins of the silk mill. The number of injured so far accounted for in the latter disaster is 117, many of whom are expected to die. This afternoon a largely-attended meeting of citizens was held in the courthouse and over $5000 was subscribed for the relief of the destitute. Any amount needed was promised. The entire city will be canvassed for funds. The work of hunting for the dead was continued all of to-day and will be carried on through the night. Over thirty dead are still missing, and probably a dozen more of the missing are still beneath the debris. The coroner on to-morrow will begin an inquest on the bodies of the five men roasted to death in the Reading shops, but will hold no inquest on the silk men bodies until satisfied that they are all taken out of the ruins. Very little business was done in the city to-day. At midnight the seventeenth body, that of Charles McKee Owen, was found in the rear of Welding store. It is thought that the remaining bodies will be secured before morning. Later.  Two more bodies were found in the ruins at 1:30 oclock this morning. DAVID H. GRIMSHAW  The Grimshaw family has figured prominently in the life and affairs of Paterson for many years. One of the oldest members of the silk industry in the city is David H. Grimshaw, who has since the inception of his business career been identified with this particular industry. David H. Grimshaw was born in Macclesfield, England, the son of George and Mary (Barnes) Grimshaw. He attended the schools of his native place until he was fourteen years of age, and during this time in his spare hours ran hand looms that were installed in his fathers home. At the tender age of fourteen he came to this country, and upon landing in New York City came direct to Paterson, N.J., where his business career had its inception by his becoming a weaver in several of the local mills. In 1872, together with his brothers, James, John and George, who had also come to this country when very young, he formed the Grimshaw Brothers, silk manufacturers, locating first at No. 72 Pearl street, later removing to a mill at the corner of Spruce and Market streets, where they remained for three years, subsequently going to the Arkwright Mill. Four years later the brothers purchased the Greppo Mill on Dale avenue, and also had a large mill at Reading, Pa. The brothers enjoyed remarkable success, the business increasing until it occupied an important place in the industrial world. In 1908, however, the concern failed and then David H. Grimshaw founded the D.H. Grimshaw Company, silk throwing, in which he still continues at No. 436 Graham avenue. His affiliations are with the Ivanhoe Lodge, no. 88, Free and Accepted Masons. He resides at No. 426 Park avenue. David H. Grimshaw is a man eminently respected in Paterson. Although he displays a deep interest in the welfare of the community which has been his home for so many years, he has remained aloof from public and political life. A man of magnetic personality, possessing the gift of making and holding friendships, he stands high in the regard of all who are acquainted with him. Mr. Grimshaw married Mary Irving, and they were the parents of twelve children, nine of whom survive. GEORGE GRIMSHAW, a member of the older generation of silk manufacturers in Paterson, was born Jan. 6, 1852, at Macclesfield, England, the son of George B. and Mary (Barnes) Grimshaw. George B. Grimshaw was born in Lancashire, England, and was brought by his parents to Macclesfield when he was but two years old. He resided here throughout his entire lifetime, and was engaged in the silk industry until his retirement from active business life, which occurred within a few years previous to his death. The education of George Grimshaw was obtained in the public schools of his native place, after which the business of life began for the boy and he secured employment in Bockmans Woolen Mill. In 1868 he came to this country, and upon landing in New York City, came immediately to Paterson, N.J., where he entered the silk mill of the William Strange Company, subsequently entering the Phoenix Mill, where he remained until, with his brothers, he formed the firm of Grimshaw Brothers and was located at No. 72 Pearl street, Paterson. The enterprise, starting in a small way, quickly flourished and soon outgrew its quarters which necessitated moving to a larger mill at Grand and Spruce streets in the J. Booth & Companys Mill, and here they continued until some time later when the brothers bought the Grippo Mill at Dale avenue and Slater street, and changed its name to the Grimshaw Mill. At about this time they founded another plant at Reading, Pa., which was totally destroyed by a cyclone in 1889. In a years time, however, this mill was rebuilt and here the company continued until 1907 when, having met with financial reverses, they discontinued the company and George Grimshaw, with whom this review deals particularly, established himself in the manufacture of ribbons at his present location, No. 96 Dale avenue, Paterson. This venture, which has already proven highly successful, gives promise of further development. Mr. Grimshaw devoting all his resources to bringing it up to a high standard. Through the nature of his business he has ever been brought more or less before the public eye, and for many years was prominently identified with all movements which had for their end the advancement of civic interest. He has always been widely known and eminently respected in business circles throughout the community. Mr. Grimshaw affiliates with Ivanhoe Lodge, Free and Accepted Mason, and also holds membership in the Hamilton Club of Paterson. On March 23, 1888, George Grimshaw was united in marriage with Mary Frances Leitz, daughter of Matthew and Mary Leitz. Her father was a lieutenant in the Union army during the Civil War, and now lives retired at Erie, Pa. Mr. and Mrs. Grimshaw are the parents of five children: Mary, born Jan 13, 1890; Hugh Matthew, born Feb. 26, 1892; John C., born May 24 1896; Georgiana M., born Aug 9, 1899, married Max Thompson, of Paterson, N. J.; Edward Barnes, born Nov. 25, 1905. The family home is at No. 359 Summer street, Paterson, N. J. The silk mill was added to the list of National Historical Sites in 1985 (Building #85000176) as a noteworthy “event” in the category of architecture/engineering. L.H. Focht was the architect (or engineer or builder), as shown in Figure 2. Figure 2. Entry from webpage Indicating Designation of Grimshaw Silk Mill As a National Historical Site. The reference is shown below the table.